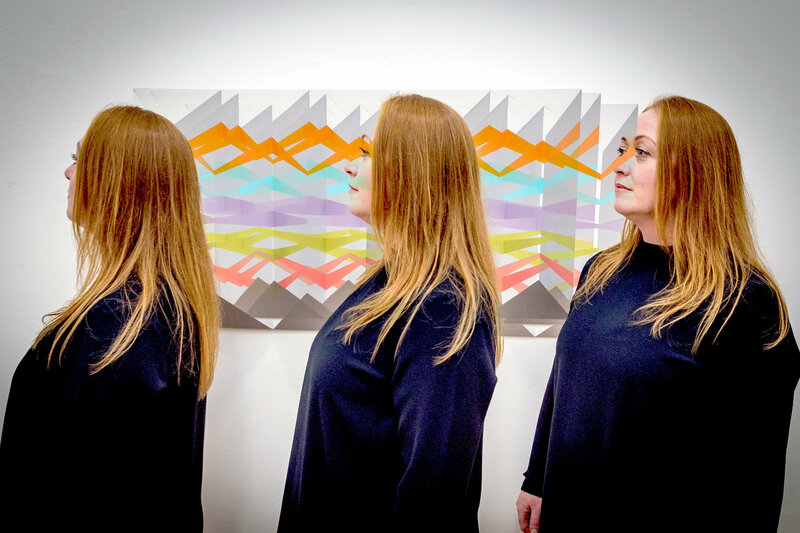 Limerick Museum is being transported into other Dimensions with a new exhibition by one of Limerick’s best-known contemporary artists, Cindy Fogarty. Dimensions is the latest in a programme of exhibitions which have been curated by Dr. Matthew Potter, Curator of Limerick Museum and renowned Limerick artist Maurice Quillinan since Limerick Museum moved to its new home in the Old Franciscan Friary on Henry Street last year. 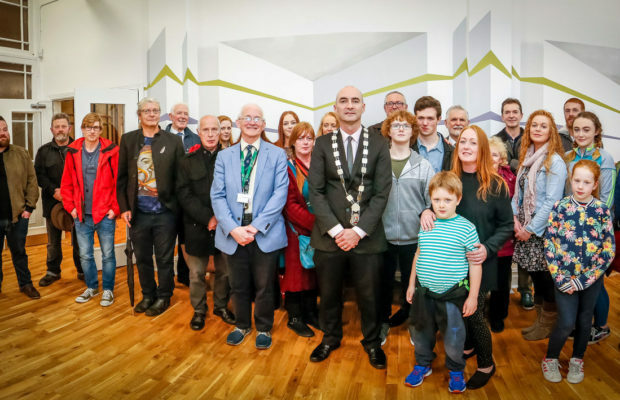 Exhibition space is comparatively scarce in Limerick, so by organising this series of events, Maurice and Matthew have done a great service to the cultural community in the city and county, particularly in the area of the visual arts. Cindy Fogarty is one of the most exciting contemporary Limerick artists. She was born, raised, and still lives in Limerick City. Her childhood was spent on Carey’s Road and she attended the nearby Presentation Convent School in Sexton St. From a young age, she loved art and had a natural flare for drawing. Later she attended Limerick School of Art and Design as a mature student, where she completed a BA Degree in Fine Art Painting and graduated with a first-class honours degree in 2017. Abstract architecture is present in Cindy’s work. Abstract art is art that does not attempt to represent an accurate depiction of a visual reality but instead use shapes, colours, forms and gestural marks to achieve its effect. Where possible Cindy’s work adopts the architecture it inhabits, by way of large painting installations, transforming the space into an immersive experience. Illusion, as a metaphor for consciousness, is used to explore the infinite perspectives we experience throughout our existence. The Dimensions exhibition continues in Limerick Museum until 15 October.